Chocolate Protein and Peanut Butter Moose Poop-Eat by Color Style! Think outside of the protein shake. 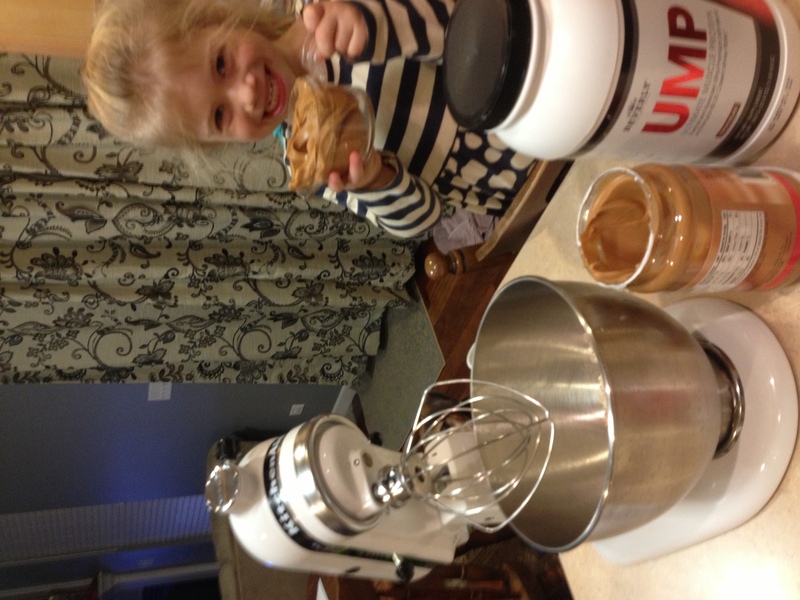 No one says that you can not make high protein treats that are easy to make and taste great. Take what we affectionately call “Moose Poop.” These Chocolate Protein and Peanut Butter treats taste incredible, and yes resemble moose poop. 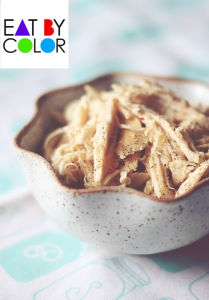 Combine all ingredients in bowl. 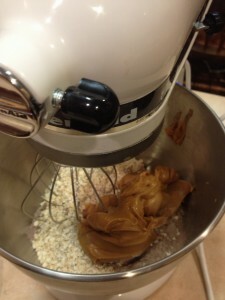 A Kitchenaid or similar mixer will make this easier. 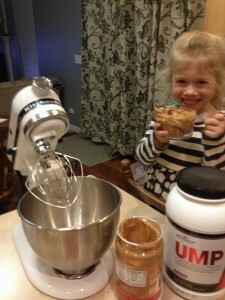 But you can burn some calories and use a whisk and a spoon. Combine until oats are wet out…so no longer dry…. 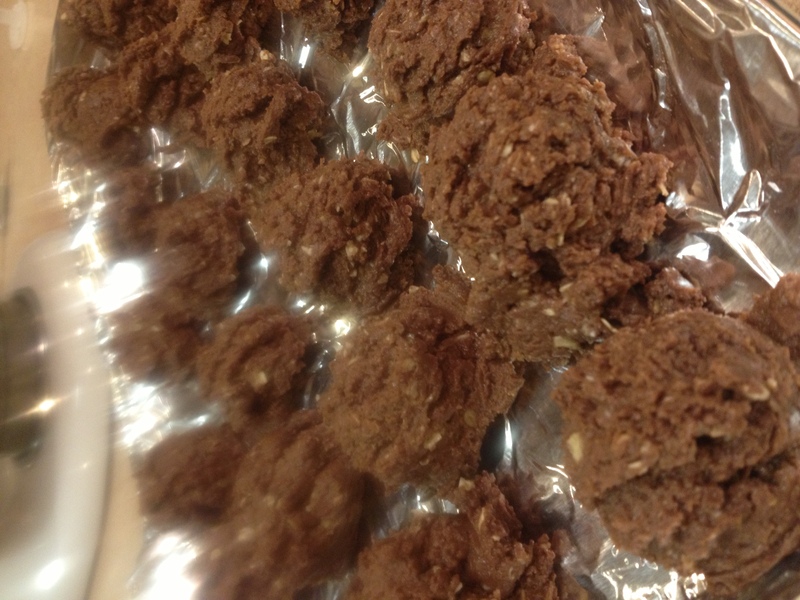 Cover a cookie sheet with the parchment paper, this prevents are pumpkin protein balls from sticking to the cookie sheet. 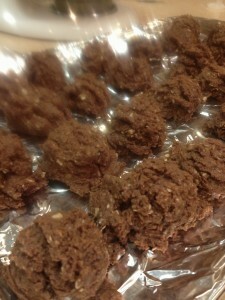 Then use the cookie dasher and scoop balls out onto the parchment paper. 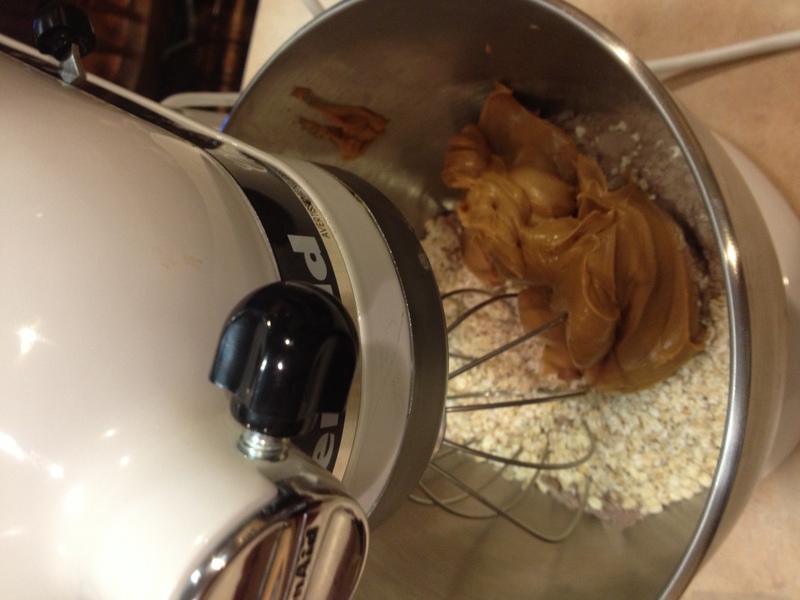 Place in the freezer….lick the spoon and mixer beater parts….done.